Come on out to hear the next Austin Traditional Jazz Society concert, which will take place on Sunday, October 14 from 2 to 5 pm at Cap City Comedy Club. It will feature the ever-popular Mission City Hot Rhythm Cats. 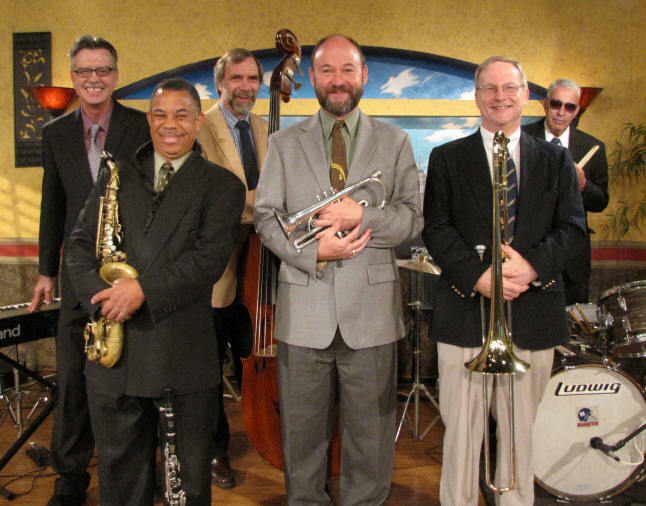 This traditional jazz band specializes in early, classic jazz, exemplified by many of the well-known masters such as Louis Armstrong, Ferdinand "Jelly Roll" Morton, Jack Teagarden, Bix Beiderbecke and Joe "King" Oliver. You won’t want to miss Mission City Hot Rhythm Cats, an ATJS fan favorite since their first Cap City concert in November, 2008. The doors at Cap City Comedy Club open at 1 pm. Concert admission is free to ATJS members, by showing the orange 2018-19 membership card. $10 general admission and $5 for students with ID. The Austin Traditional Jazz Society is a 501(c)(3) non-profit organization. Please consider making a tax-deductible donation.